Caleb Houghton, linen draper, occupied this premises in 1848 adding a grocery department in 1860. He converted ground floor into two shops, drapery to the north, 103, and grocery to the south, 105. The draper’s shop became a restaurant owned by W Cottis, and the drapers moved into a rear room. 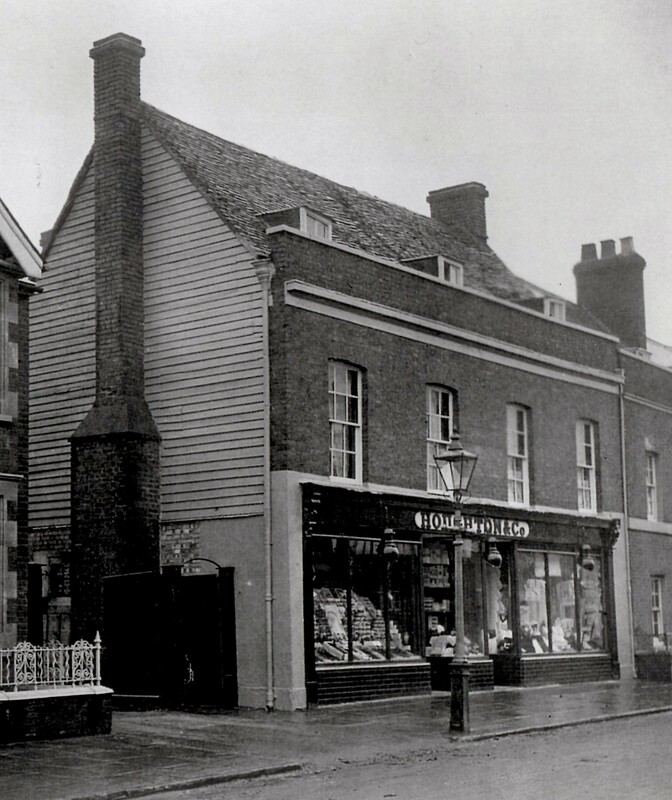 With the death of their father his sons, Edward and William carried on the business of grocer and baker while his daughters, Sarah and Jane managed the drapery department. When the building was lowered and the internal staircase removed in 1946 an external staircase to the Holly Court side was added .